Bridge console under construction at Heeco. A Hull-based marine business has announced two new big commercial wins. 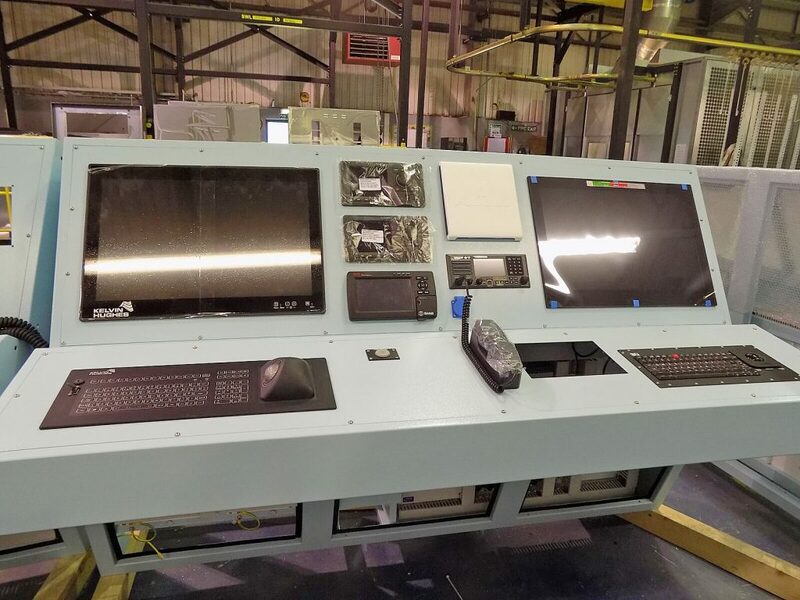 The Humber Electrical Engineering Company (Heeco) has won a defence contract for bridge equipment plus work to provide switchboard extensions for bulk carriers worldwide. The electrical manufacturing business, based in Hull, designs and builds switchboards, motor control centres and control panels for the marine and energy sectors as well as the programming of programmable logic controllers and the provision of electrical design solutions. Neil Watson, the managing director of Heeco, said: “We’ve had a few big wins. The first is with regards to custom-made bespoke bridge suites. We build to both commercial marine or MoD shock rated standards for many customers ranging from small commercial vessels, to oil tankers and warships. Heeco’s suites include navigation aids, propulsion controls and integrated platform management systems. Be the first to comment on "Humber Electrical announces two big contract wins"